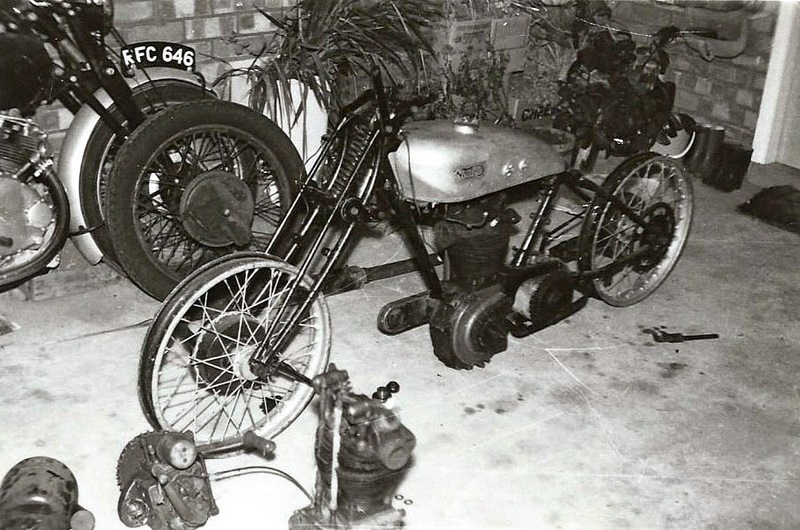 -SG- The publication last summer of a photograph of a pair of '26/'27 pannier tanks in the VMCC magazine prompted correspondence, not only about the tanks, but also about Woods' 1926 TT winner ON7170 - and the Jackson Special AVY64 - which have been discussed on the blog in the past. The outcome of it all seems to be that the original hacked about frame of ON7170 was undoubtedly scrapped not too long after the Jackson Special was resurrected by Chris Chandler and George Spence - a long time Vincent enthusiast and friend of Chris - has bravely held his hand up and admits to having taken it up the tip some time in the early seventies! However, George has come across a photo of the Jackson Special during its rebuild and this is presented above. He recalls that all the gears in the four stud LS box in the foreground were stamped up TT but I am making no imaginative suggestions on that score! Bert Milner - who, as previously related, was the next owner of ON7170 after Woods - was a keen Clubman and not only rode the bike in the '28 Amateur TT but also in various short circuit events in UK within reasonable reach of his home town in Yorkshire. 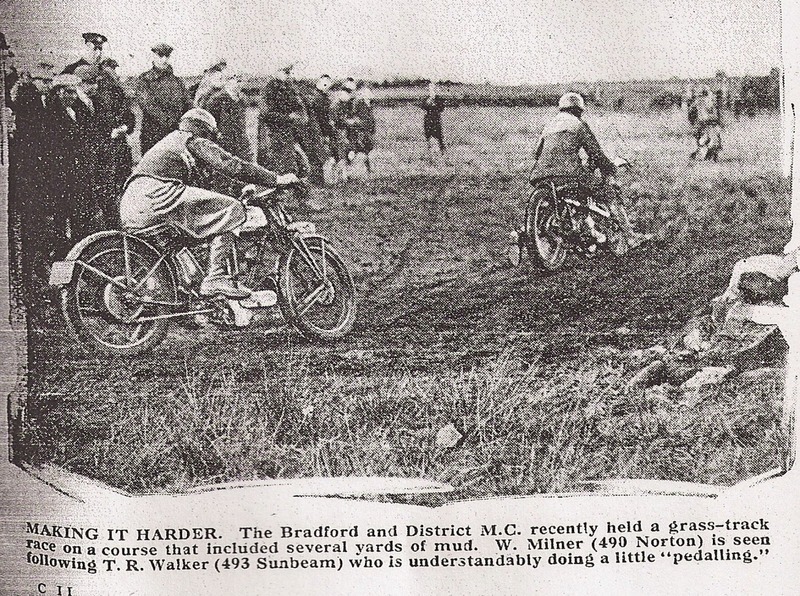 And, as the scan above from Motor Cycle from November '29 shows, he rode it in Grass events too!